All you need for cleaning and polishing in a convenient box. Removable accessory tray and 3 dividers provide perfect storage solution. 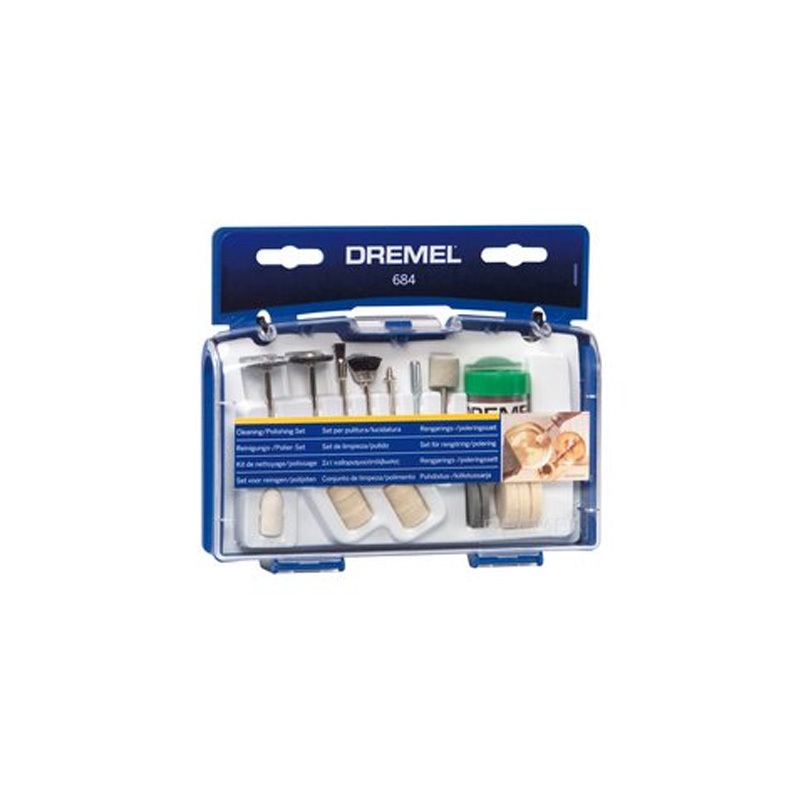 Dremel Quick Start leaflet explains the included accessories.